After about an hour explaining what Twitter is to my Dad he goes "Yes, darling, but what IS Twitter." I gave up. You have to use it to understand it. 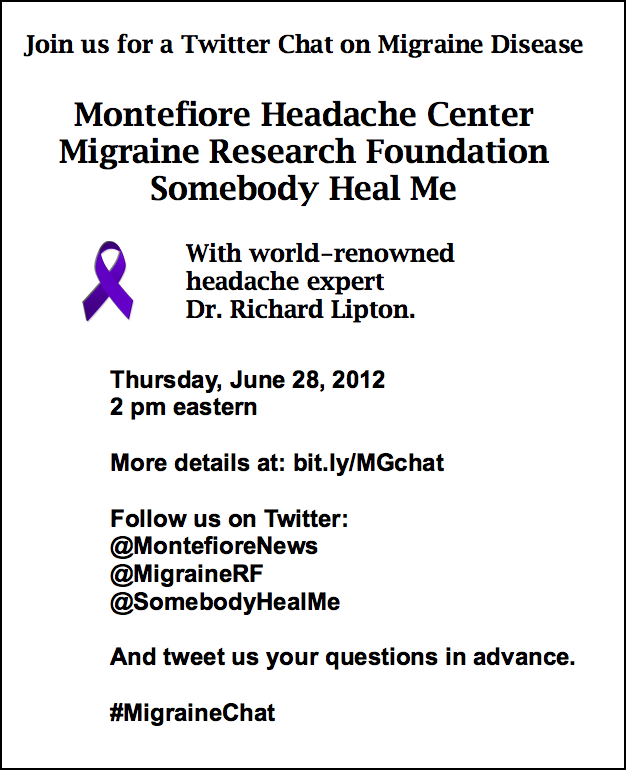 And hopefully you do because today the fabulous Diana Lee, of SomebodyHealMe is moderating a live Twitter chat (in conjunction with Montefiore Headache Centre and the Migraine Research Foundation) with eminent migraine expert Dr Lipton at 2pm EST (that's USA time.) So here in the UK that's more like 7pm. I think I've got that right. 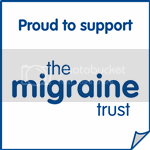 You can email/tweet Diana your migraine questions in advance. 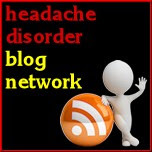 Please do, this is an all too rare chance to get advice from an actual Headache expert. 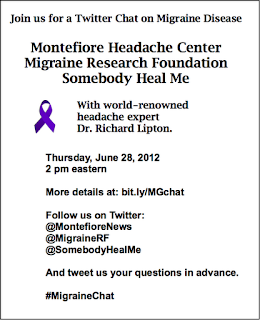 Go to http://tweetchat.com/room/migrainechat or follow the #migrainechat hashtag to participate.